On November 14, 1863, Leo Hendrik Baekeland, who would develop the first synthetic plastic, was born in Ghent, Belgium. Bakelite is the earliest form of synthetic plastic. Its bright colors and durability make it a collector's item today. Photograph by Chemical Heritage Foundation, courtesy Wikimedia. This file is licensed under the Creative Commons Attribution-Share Alike 3.0 Unported license. On November 14, 1863, Leo Hendrik Baekeland, who would develop the first synthetic plastic, was born in Ghent, Belgium. After moving to the United States, Baekeland set about developing a moldable substance that could be used to make durable, long-lasting objects. After 10 years of work, he succeeded in creating polyoxybenzylmethylenglycolanhydride—better known as Bakelite. 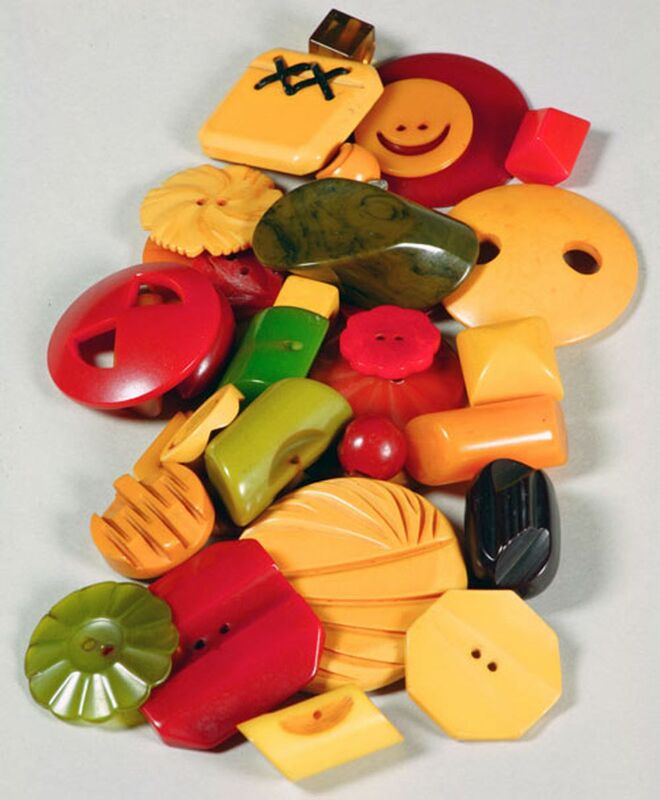 Bakelite was the first plastic made from synthetic sources. The remarkable material was used in the manufacture of brightly colored kitchenware, radios, firearms, and jewelry. Plastics ushered in a new era in mass-produced commercial products. Modern plastics are more flexible and less brittle than Bakelite. However, the material is still used as a heat-absorbing substance in missile warheads and spacecraft. manufactured by people, not occurring naturally.